Cathy Zimmermann is a highly qualified licensed real estate professional with over 36 years of dedicated experience in the field of real estate. Before working in real estate, Cathy was a sought after court reporter proficient in recording EBT's (examination before trial). When she changed careers, she discovered a love of Real Estate, and was hired by a large commercial and industrial builder on Long Island, where she learned the craft of real estate. She became licensed as a Realtor in 1986, and with her many years of experience, can be counted on to be very proficient at transactions with both buyers and sellers. In 2005 she founded and operated her own real estate company. 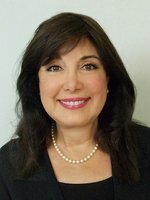 Today she is the Sales Manager of the Northport Office of Daniel Gale Sotheby's International Realty. As a resident of Asharoken for over 26 years, she married in 1991 and has a daughter. Cathy and her daughter are Gold Star family members as her husband and her daughter's father paid the ultimate sacrifice in service to our Nation. Cathy and her daughter are very humbled to be a Gold Star Family. She is dedicated to our community, and our clean waters. For the past eight years Cathy is a sworn-in Beach Captain in the Village of Asharoken taking the Oath of Office for the Asharoken Coastal Cleanup, and the Littoral Society, organizing 300 community volunteers, collecting 5,000 lbs. of trash annually. Successfully marketing and selling many homes on the water and inland in our community, Cathy's expertise is presented to the residents of our neighborhood. Stop in and see her at the Daniel Gale Sotheby's International office on77 Main Street in Northport.